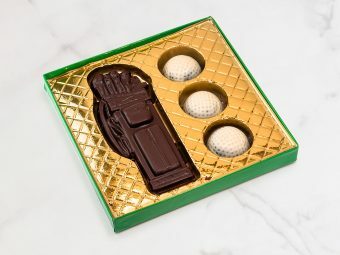 The 8 Piece Chocolate Golf Box contains our favorite milk and dark chocolates and truffles. The 8 Piece Chocolate Golf Ball Box contains our favorite milk and dark chocolates and truffles. Makes an ideal gift for the golfers in your life. Perfect for tournaments, birthdays, or special occasions, or just a regular day at the course. 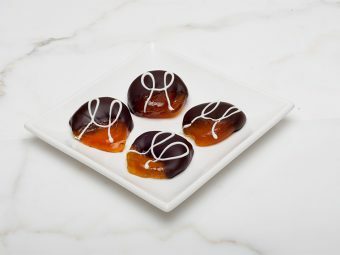 Delight them with a golf ball box filled with delicious handmade chocolate.